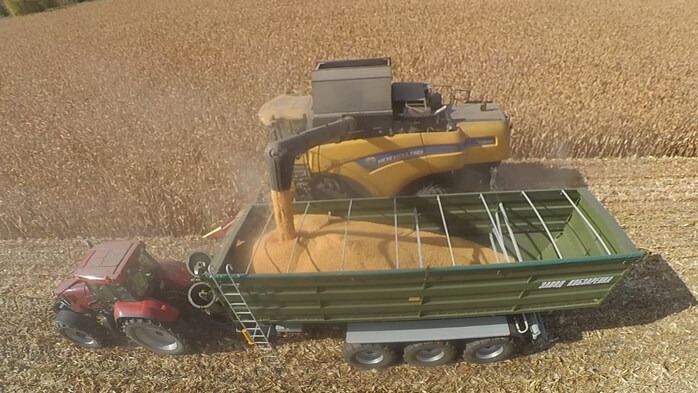 The length of the unloading receiving hopper is 7 meters, accommodating 12 m3 of grain. 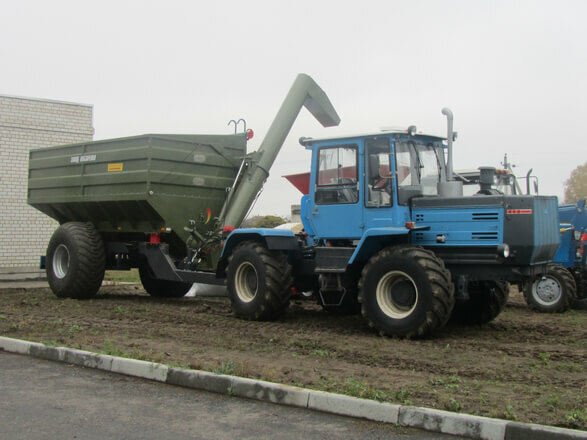 Hydraulic folding side (model BNP-12/E) and in the case of KAMAZ 55102, side unloading is without losses. 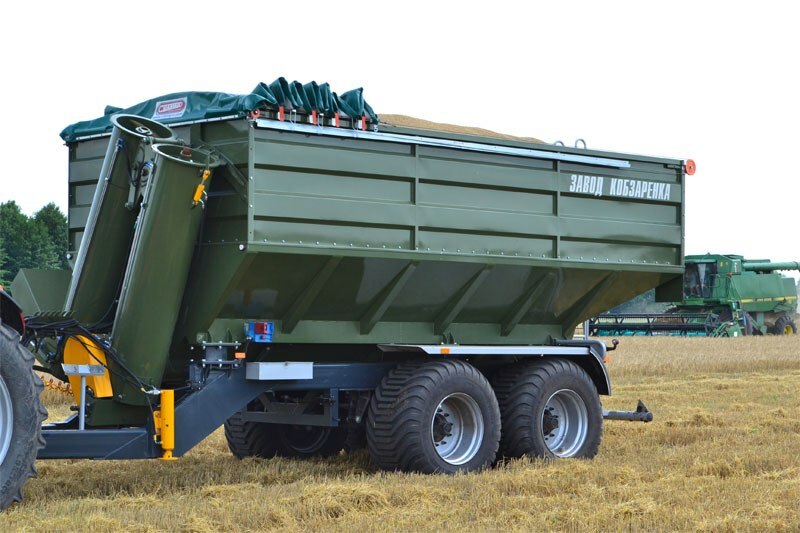 In the transport mode, the trailer rests on the wheels, in the loading position on the ground. 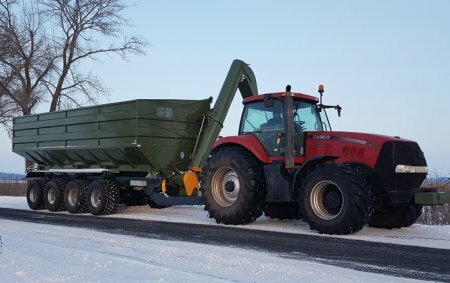 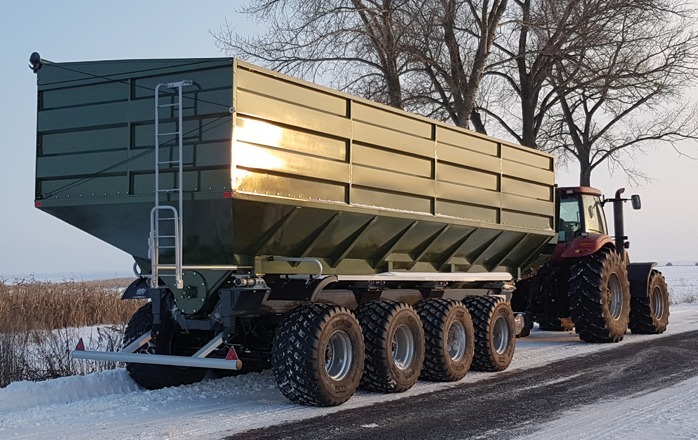 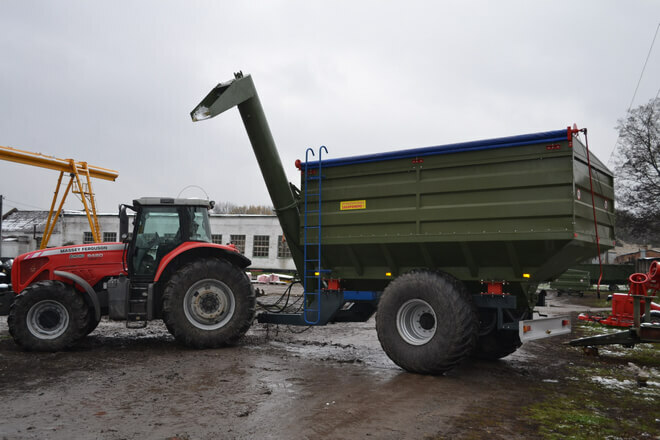 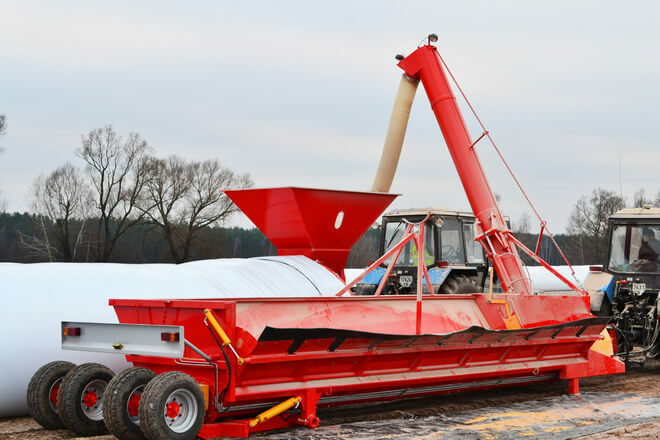 On the bottom of the trailer there are three augers, out of which two are Ø 300 mm; unloading auger is Ø 400 mm, rolled, with a productivity of 3 t/min. 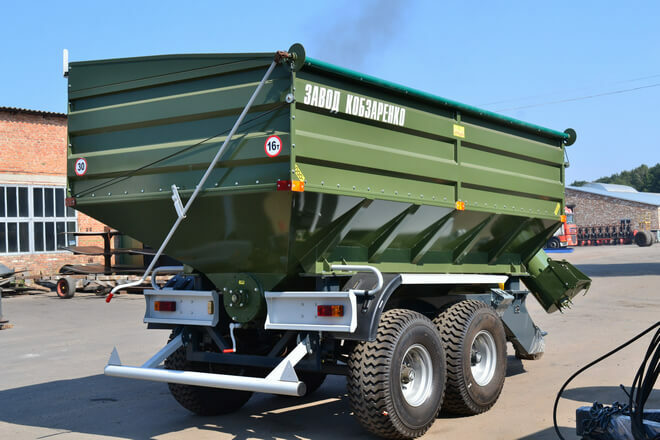 The discharging height of the trailer is 4.3meters. 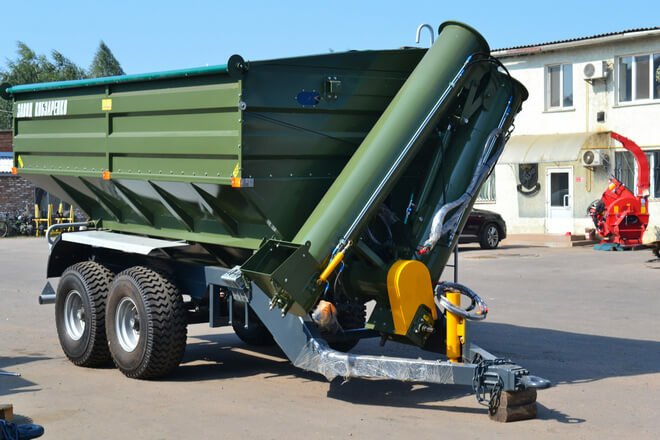 The towing hitch is replaceable, Ø 90 mm. 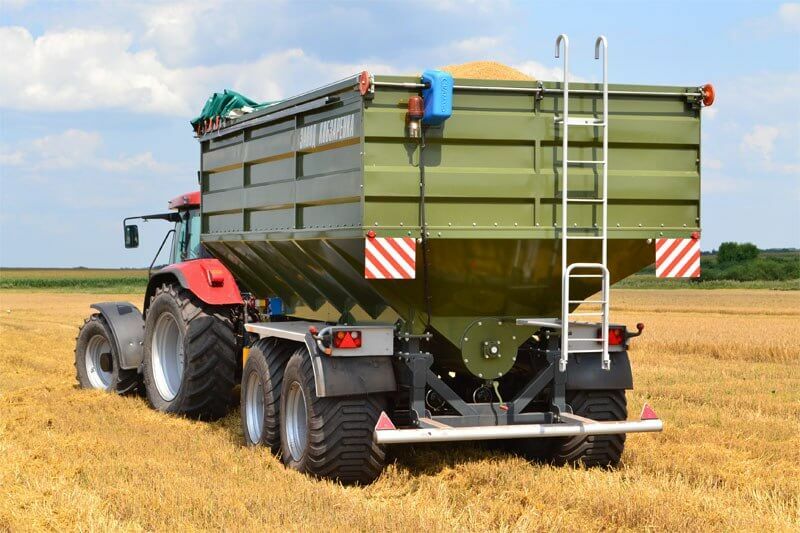 The model BNP-12/E can be started with the tractor’s hydraulics (the trailer is equipped with 4 electric motors, 380 V). 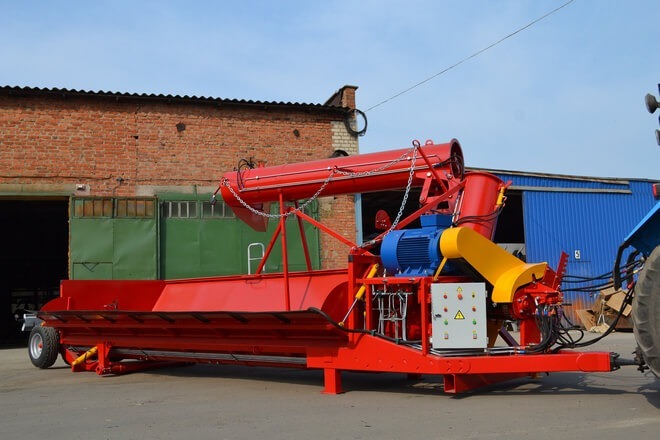 7,5 kW motor starts the hydraulic processes like moving the side panel or auger, 4 kW and 5,5 kW motors start the horizontal augers and 18 kW engine the vertical augers. 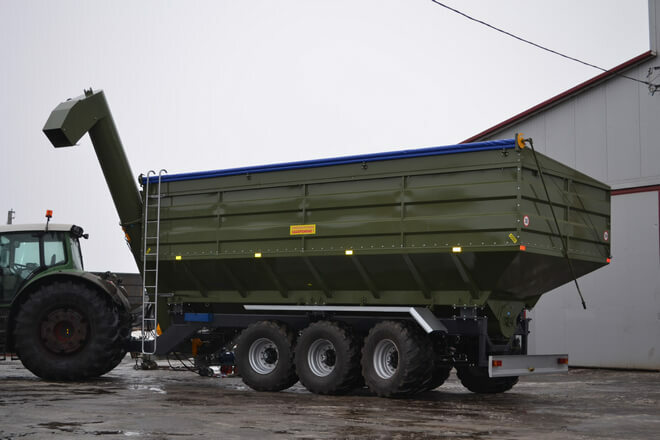 Additional options: discharge height can be increased up to 5.5m, drawbar eye Ø 40 or Ø 50 mm.